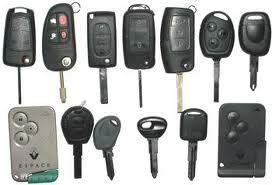 We can replace most duplicate transponder keys at a much better rate than agents. We have equipment and can come out to site where your vehicle is, to clone you a new key. In some instances the vehicle must be towed in. We can supply transponder blanks for most vehicles, but sometimes we have to rely on agents for the remote units. The equipment to duplicate transponder keys is expensive and as new model vehicles is released on a monthly basis, software have to be upgraded which further adds to cost. Some of these transponder keys can be duplicated using reader/encoding hardware, software and writable transponder chips. Other has to be programmed into the processor to be functional. When buying a vehicle that operates with a transponder key, it is a good idea to have at least two sets of keys as replacing a set of keys after hours can be costly. Furthermore you could lose your keys when out of town, which means the vehicle might have to be towed into town which incurs further costs. By definition, a transponder key is a device that transmits or accepts data from another device. Transponder keys use a miniature transponder which is embedded in the key head. When the key is inserted into the ignition, a radio frequency is transmitted to the key. This energizes the transponder which replies with an ID number. If the ID number is recognized by the onboard computer, the ignition and starting system is enabled. This type of transponder key does not need a power source of their own. They operate in the frequency range area of 125 kHz. This means they are very limited in range and generally operate in the range of 1cm to 15 cm. Since this is a radio frequency it can penetrate materials that would make the transponder not directly visible, such as the plastic or rubber in the bow of a key. Many later model vehicles feature keys that have keyless entry. These keys can be loaded with large amount of unique codes, which gives a vehicle another level of security and allows individuals to access their cars through keyless entry. What if I Lose My Transponder Key? Should you lose your transponder key, you should get a new set of keys as soon as possible from someone who is equipped and experienced to do this. Some vehicles allow you to buy a blank transponder key and use it to start the vehicle. The transponder programs while you drive and take about thirty minutes.